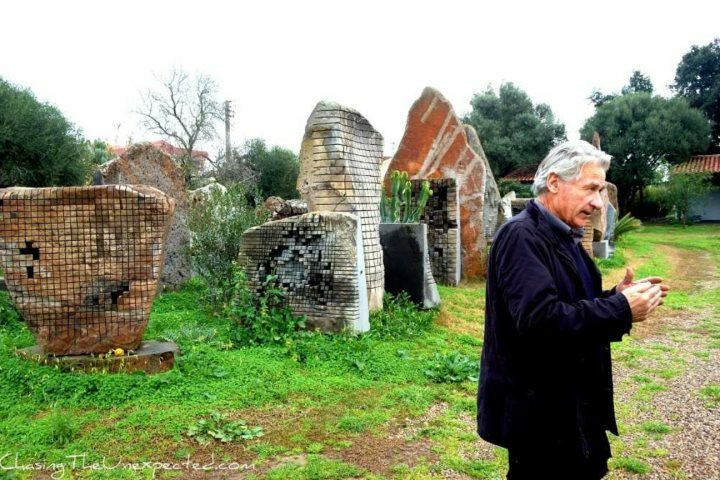 Freelance writer and photographer, Angela Corrias, interviews Sardinian sculptor, Pinuccio Sciola (Pino for short). Today we share a guest post from Angela Corrias, originally published on her fascinating blog, Chasing the Unexpected. “What is the first word that comes to your mind when you think of a stone?” Asked Pino Sciola, welcoming me to his house-lab. “Hard? Rigid?” I tried to guess. “What about elastic?” He suggested artfully, making one of his freshly cut stones tremble like a chord of violin. Pinuccio Sciola, as he’s known among his fellow countrymen of the colourful town of San Sperate, in southern Sardinia, is an all-round artist, but his soul lies in the mysterious world of stones: “Stones are the backbone of our planet, they were here since time began, over the span of millennia, and they will never cease to exist.” I had never payed too much attention to stones, perhaps like most people, I had always taken their existence for granted. 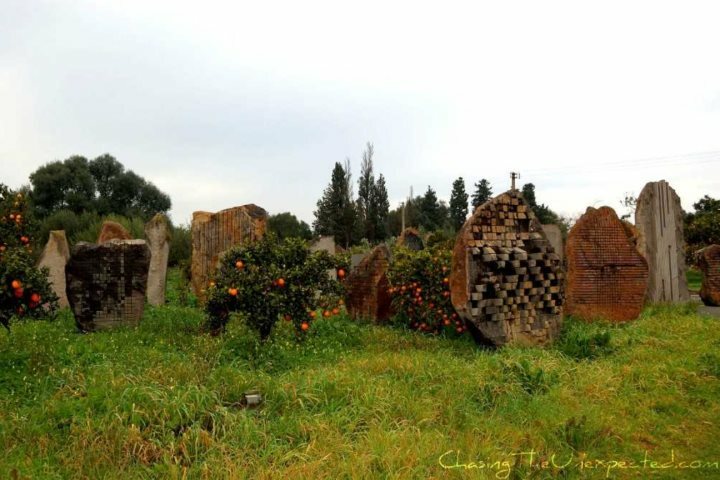 As Confucius already in the 6th century BC praised the importance of harmony between people and nature, today he would have been very pleased to see that Sciola has towards stones the same conception of Chinese ancient culture: they are a gift from Nature to us, and we must cherish them. While we were making our way through the winding country lanes from the picturesque village glowing with colorful murales towards the countryside where lies his open-air museum, my efforts to find out when was the very first moment he had heard a stone’s sound proved futile. “It has always been inside me, there is no first time,” he claimed, unconcerned about my reporting needs. 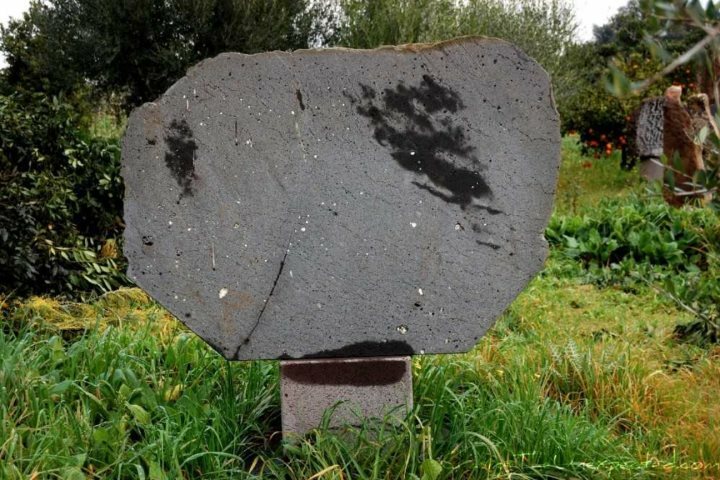 As soon as we reached the swarm of sculptures, he grabbed a little rock and started rubbing it gently against a stone that stood tall among its peers in the middle of the countryside. The very moment the music started and the magic was unleashed, I was mesmerized, and suddenly felt incapable of interviewing him: there was no right question and, despite my previous research, I realized I hadn’t managed to grasp his art, so the best choice was to let him talk wildly. No need to tell him, he knew it would have happened. Sardinia, the big Italian island off Tuscany’s coast, has a longstanding mineral-related tradition. 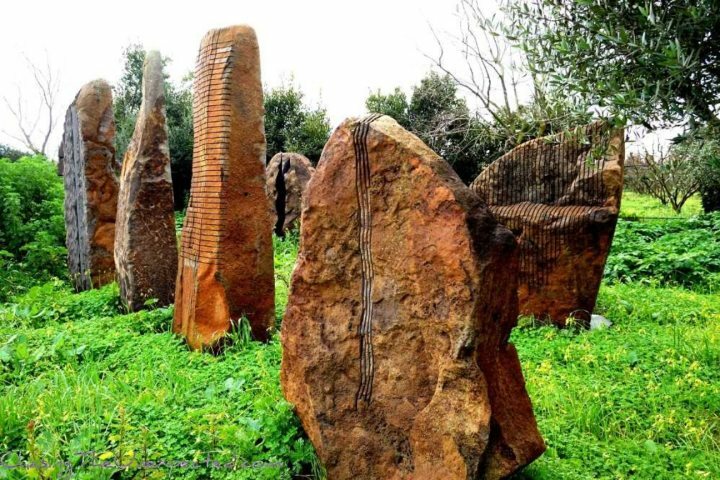 The whole territory is dotted with nuraghi, Bronze Age towers made with stones, and domus de janas, literally “fairies’ houses”, also dating back to prehistoric times. 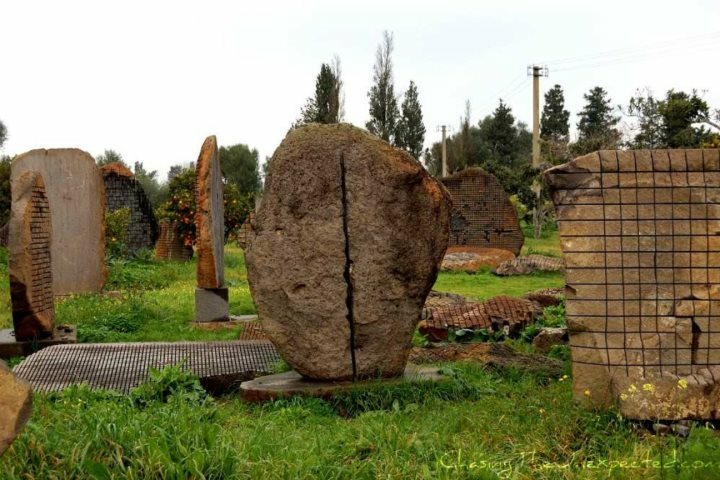 Part of Sardinian stone heritage are the so-called “giants’ tombs”, impossible to place somewhere in history, and surrounded by a mysterious atmosphere due to the presence of magnetic fields around them, to the extent that many people consider therapeutic for the soul lying underneath. 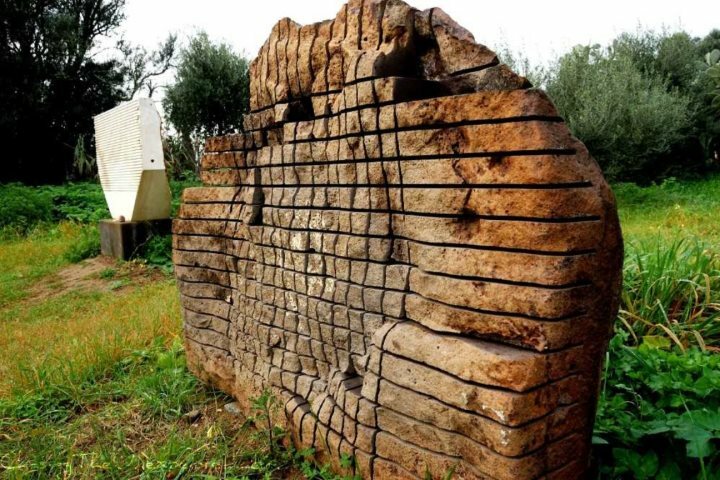 Sardinia is the land of mystery, there are hidden traditions that even many natives ignore, events beyond comprehension that even scientists gave up on occur. Pino Sciola is fully embedded in this unconventional mix of nature and man-made reality redolent of a remote past in which men were closer than they are now to Mother Nature. While we were leaving Sciola’s otherworldly stone-museum, a flood of questions crossed my mind, but I barely managed to gather the little pieces of information he gave me all throughout the day in order to grasp his art, fully embedded in his seductive way of living. Before meeting Sciola, I didn’t know what to expect. I had heard a lot about him, I knew he was a famous artist, yet I was totally taken aback by the connection he has established between nature and his work. He’s not just grateful to nature for its continuous gifts to humanity, but he’s also aware of what his place is within planet Earth, and it seems like he’s somehow closer to the mysteries around the universe. If you wish to listen to Pino Sciola’s stones, you can check my video where he shows me how they release music at the end of this post.